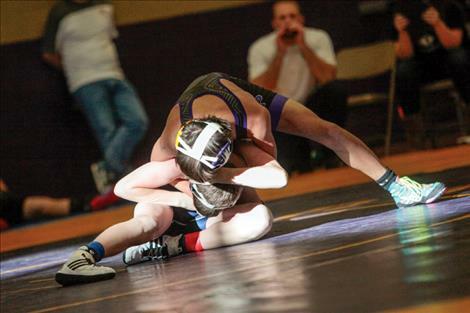 Pirate freshman wrestler Renee Pierre wrestles Glacier’s Caden Willis. 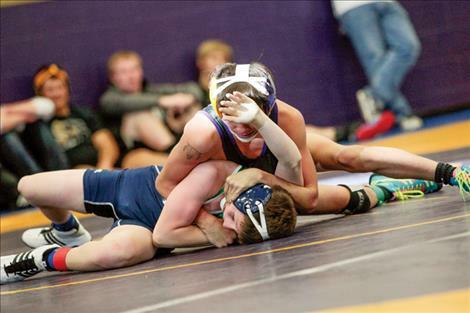 Later in the day, Pierre would earn a first place pin against Sentinel’s Dakota Thomas in the 103 championship round. 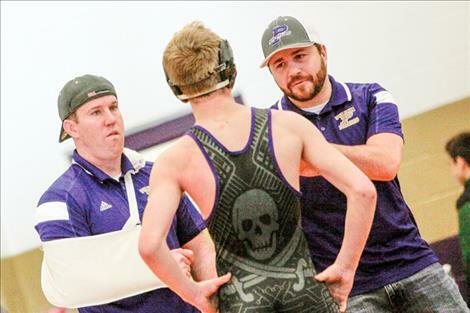 Coaches offer instruction and encouragement off the mats. 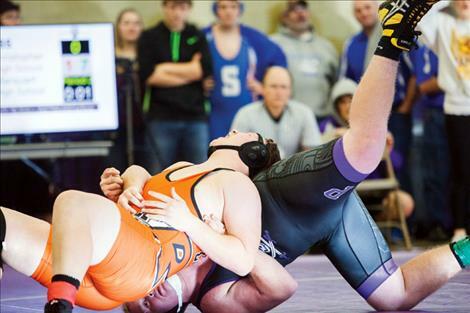 Wrestlers from 16 schools converged on Polson Middle School gymnasium Saturday for the annual Owen Polson Wrestling Invitational. 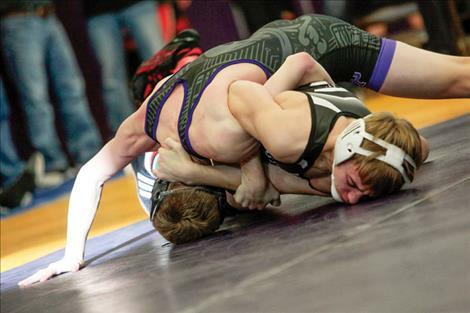 Local wrestlers competed from Polson, Ronan and Mission/Charlo teams. 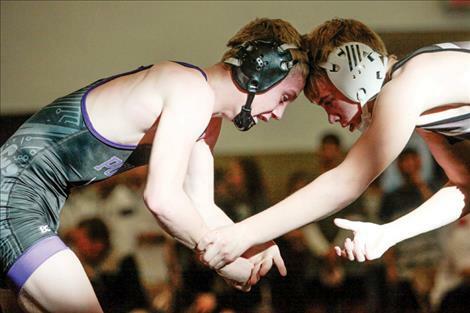 While Missoula’s Sentinel High dominated the contest with first-place wrestlers in six weights and 13 wrestlers placing in top three, Polson finished with a strong second place team finish with six top-four wrestlers. 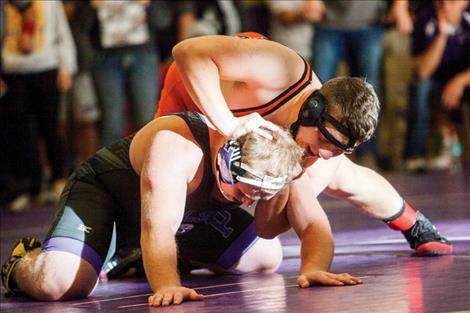 Senior Mike Corrigan (205) was unbeaten at the meet, pinning Jake Freeman of Columbia Falls in just 33 seconds to earn first place. Freshman Renee Pierre took first place at 103 pounds, felling Dakota Thomas of Sentinel at 3:02 in the championship match. 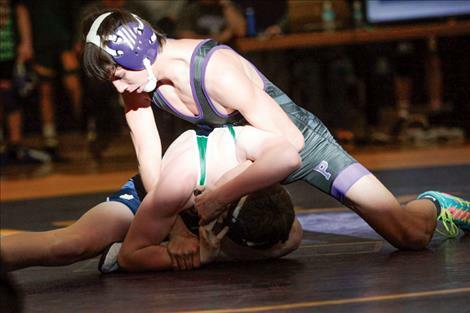 Shane Pierre (126) battled Brandon Thomas of Columbia Falls for a second place finish and Cameron Brown (132) fought for 5:15 before Sentinel’s Beau King won the match with Brown taking silver. 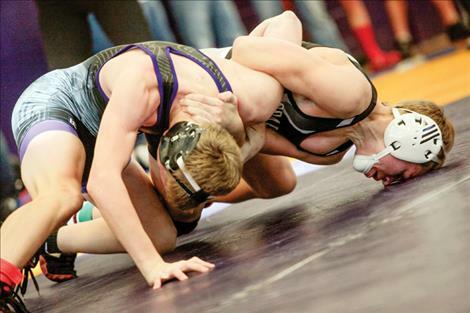 Polson’s Bridger Wenzel pinned Lake County rival Bailey Weible of Mission/Charlo to take third in the 120-weight class while Jaben Wenzel took fourth at 138 after battling Columbia Falls’ Kale Gravelin. 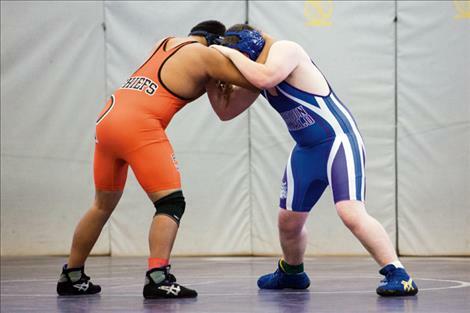 The team should have all the weight classes filled soon, Owen said, which will help in dual meet competitions. 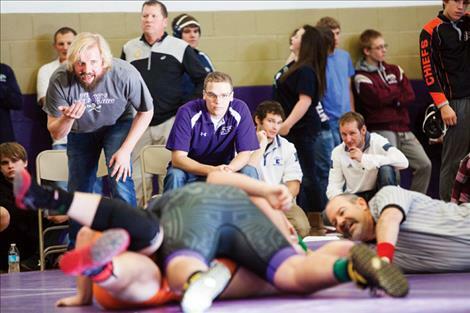 Next week the Pirates will face the best Class A and AA teams in the state at Butte’s Mining City Dual Meet Tournament. Senior Ethan Goss-Dickey had a clean sweep on the mats, pinning powerhouse Sentinel wrestler Jake Rebish in 2:54 to claim the 285-pound title, ending the day 4-0. 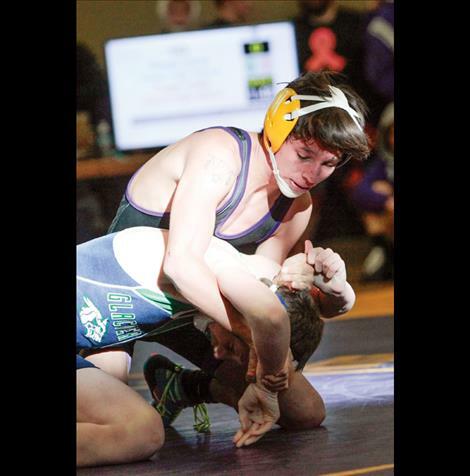 Junior Trent Dennison also faced a senior Sentinel wrestler in the 152 first-place contest, avoiding the pin in a marathon 15-5 decision that went to Chandler Paulson. Bailey Weible’s fourth place finish rounded out the team placers contributing to Mission Charlo’s ninth-place overall team ranking with 59 points. 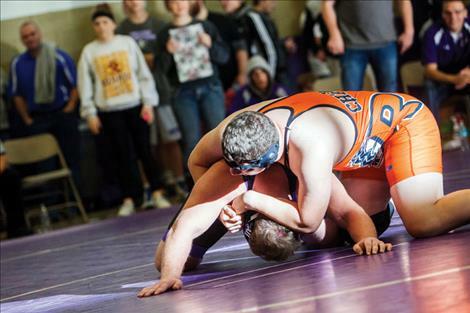 “Trent Dennison and Bailey Weible also excelled this weekend, wrestling with a lot of confidence,” Cronk said. Cronk said he was pleased with all his wrestlers. “They have been working very hard this season and it showed on Saturday,” he said. 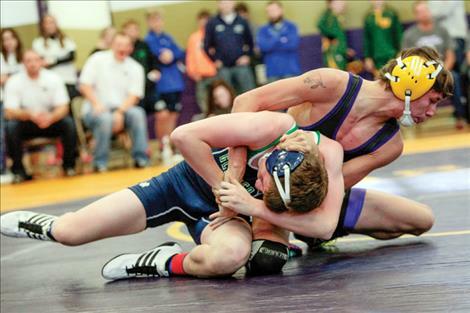 Chief wrestlers also placed three in the top-four, earning 65 points for a seventh-place team finish at Saturday’s invite. 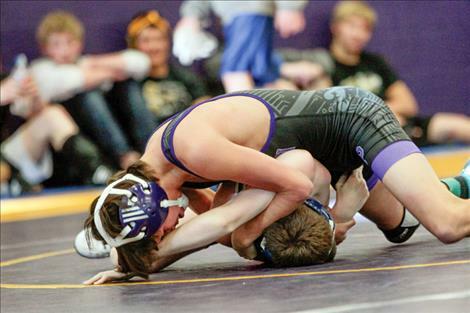 Jared Neiss started his senior year wrestling to a nice first-place victory over Frenchtown’s Cody Warner. Neiss won by a 10-3 decision, the only Ronan wrestler to bring home the gold. 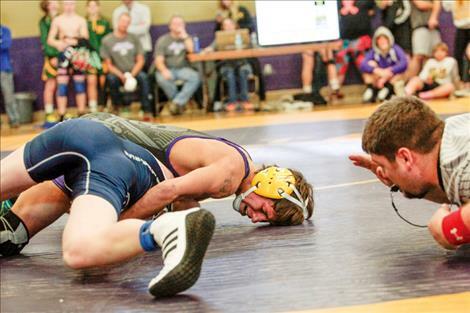 Sophomore Seth Cheff (126) and junior Gray Cook (205) both earned fourth place.